In my previous post, I had covered the Glory of Vijayanagara from a social, economic viewpoint. In this part I shall be looking at the literary glory, that characterized Vijayanagara Empire. While Vijayanagara Empire reached it’s literary zenith under reign of Sri Krishna Deva Raya, there have been many literary greats who flourished under various rulers, most of whom were patrons of art and architecture. Even though Vijayanagara is often claimed as the Golden Age of Telugu literature, an equally great number of works were written in Tamil, Kannada and Sanskrit too. It was a period when you had all kind of literary works published from Prabandhas( collection of stories) to works on religion, medicine, grammar, music to biographies. Hampi was a thriving cultural center, to which flocked some of the greatest scholars and writers of that era. Most of the Kannada literature published during Vijayanagara era, related to the Veerashaivism and Vaishnavism traditions, and to some extent that of Jainism. It was not just poets and scholars, many rulers of Vijayanagara empire, court nobles, soldiers too were equally great writers in their own way. Apart from the court literature, you had a vast body of folk literature, produced by travelling bards and saint poets too. Most of the writing was in 3 categories, the 6 line verse called shatpadi, the musical compositions called Sangatya and the 3 line verse called tripadi. One of the striking aspects of Kannada literature under Vijayanagara Empire was the growth of Veerashaivism and the vachana poetry, which till then was the domain of Jainism and their champu style of writing. The Jain school tried to challenge the rising popularity of the Veerashaivism and Vaishnavism literature, reinventing themselves, focusing on more contemporary topics. One such author was Andayya, whose magnum opus Kabbigara Kava( Poet’s Defender), tried to project the victory of Kama, the God of love over Shiva, written in the typical champu style associated with Jain traditions. Champu is a style of writing that mixed prose with poetry, and it was pioneered by Adikavi Pampa, known as the first poet of Kannada literature. Where the Veerashaivas and Vaishnavas, stole a march over the Jain writers, was their use of oral and musical folk traditions, thus bringing literature closer to the common man. The Veerashaivas used the Vachanas, basically brief couplets addressed to Lord Shiva, which often made statements against vanity of the rich, the futility of rituals and the uncertainity of life, in a sense theirs was a more revolutionary form of writing. The Vaishnavas on the other hand, inspired by the Bhakti movement, popularized musical forms, which the common man could understand. With the growing dominance of Veerashaivas and Vaishnavas, the Jain writers were slowly relegated to background, and there was often a rivalry between these two groups. They had ample patronage from Deva Raya II, himself an author of repute, and most of them attended his court. Vaishnava writers were basically of two kinds, one the court writers, who received patronage from the rulers, Kumara Vyasa who rendered the Mahabharat in Kannada, was one of the most famous of the court writers. On the other side were the Bhakti writers, who spread the message of God among ordinary people, through their music, the most well known being Purandara Dasa and Kanaka Dasa. The Haridasas, who basically were a travelling mystic saint poets kind, were the ones who spread the philosophy of Madhvacharya in simple Kannada, extolling virtues of Jnana, Bhakti and Bairagya, Knowledge, Devotion and Renunciation. It was the age when the shatapadi or the 6 metre form, found favor among the Vaishnava writers, with Kanaka Dasa, Kumara Vyasa and Chamarasa being some of the best exponents. The Veerashaiva writers on the other hand used the Shataka or the 100 metre form. There was great interaction between Telugu and Kannada writers, and translations of works from Kannada to Telugu, and vice versa was quite common. You also had poets like Dhurjati, Bhima Kavi, Pidaparthi Somana, who were bi lingual, and fluent in both Telugu and Kannada. One of the most famous works of this period was Gadugina Bharata by Kumara Vyasa, which was a reference to Gadag, where the author hailed from. Also called Kumaravyasa Bharata, it dealt with the first 10 chapters of Mahabharata, and cast it’s characters in a more human mould, faults and all, and also made abundant use of humor, metaphors and similies. The remaining part of Kumaravyasa Bharata, was completed by Timmana Kavi in Sri Krishna Deva Raya’s court. In line with the Mahabharata, the era saw a Kannada version of the Ramayana, by Kumara Valmiki( pseudonym of Narahari), called Torave Ramayana, written in the Shatapadi metre, which presents the epic in the form of a conversation between Shiva and Parvati. Another famous Kannada poet was Chattu Vitalnatha, who was a court poet in both Sri Krishna Deva Raya and later Achyuta Raya’s reign, and translated the Bhagavatam into Kannada, written entirely in Shatapadi metre. It covers the Dasavataras of Lord Vishnu, though with special emphasis on Lord Krishna, and also famous stories like that of Prahlad and Dhruva. The Veerashaiva writers on the other hand, cast saints like Basavanna and Allama Prabhu as the main protagonists of their works. One of the most noteworthy works was Basavapurana, a biography of Basavanna written by Bhima Kavi using the Shatapadi metre, which was inspired by earlier works on Basavanna by Harihara and Palakuriki Somanatha. The work primarily explores Basavanna’s life, portraying him as a great Shiva Bhakta and an incarnation of Nandi. Deva Raya II’s court saw Veerashaiva writers like Chamarasa, Lakkana and Jakkanarya, flourish under his patronage, often in competition to the Vaishnava writers. Chamarasa, one of the foremost advocates of Veerashaivism, wrote a biography of Allama Prabhu, called Prabhulinga Lile, which was later translated into Telugu, Tamil, Sanskrit and Maratha. In this work, Allama Prabhu is depicted as an avatar of Lord Ganesha, and is pretty much spiritual in nature. Lakkana Dandesa, who served as the Prime Minister under Deva Raya II, wrote the Sivatatva Chintamani, an encyclopediac work on the Veerashaivism faith, it’s traditions and rituals and also contains the story of Basavanna, to date it is considered an authoritative guide on Lingayatism. There were other great Veerashaivism writers too like Mahalinga Deva famous for his Vachanas, Kavi Linga, the court poet of Saluva Narasimha I, Nilakantacharya, Bommarasa, Kallarasa to name some. Another great work was authored by Singiraja, who inspired by Palakurki Somanatha, wrote Maha Basavaraja Charitra, making good use of Basavanna’s Vachanas, and also his 88 good deeds. Mallanarya of Gubbi was patronized by Sri Krishna Deva Raya, wrote the Bhava Chintaratna, a Shatapadi metre work about a Chola ruler who was a devotee of Shiva, Virasaivamrita Purana,which describes the various forms of Lord Shiva. Virupaksha Pandita, the head priest of the famous Virupaksha temple wrote Chenna Basava Purana, about the life and times of the 12th century Saint and Vachana Poet, Chenna Basava, which also provides valuable information on other Veerashaiva saints. The work also gives a lot of insights into Vijayanagara, it’s royal palaces, it’s market places and it’s military too. It was not just religious writing, there was a great amount of writing on secular topics too like astronomy, metrology, grammar, medicine, history, astrology. etc. Khagendra Mani Darpana, a book on medicine was authored by Manjaraja I, based on 5th century writings of Pujyapada. Padmaraja Purana, by Padmananka, gives a lot of insights into the Hoysala empire, while Mangaraja Nighantu, a lexicon was authored by Mangaraju in 14th century. I had already covered the Golden Age of Telugu Literature under Sri Krishna Deva Raya, in one of my earlier posts. While his reign is rightly acclaimed as the Golden Age of Telugu literature, there were some equally great Telugu writers in the Early Vijayanagara period. Kavi Sarvabhouma Srinatha, was patronized by Deva Raya II, author of works like Salivahana Saptasati, Sivaratri Mahatya, Harivilasa, Palnati Veera Charitra. 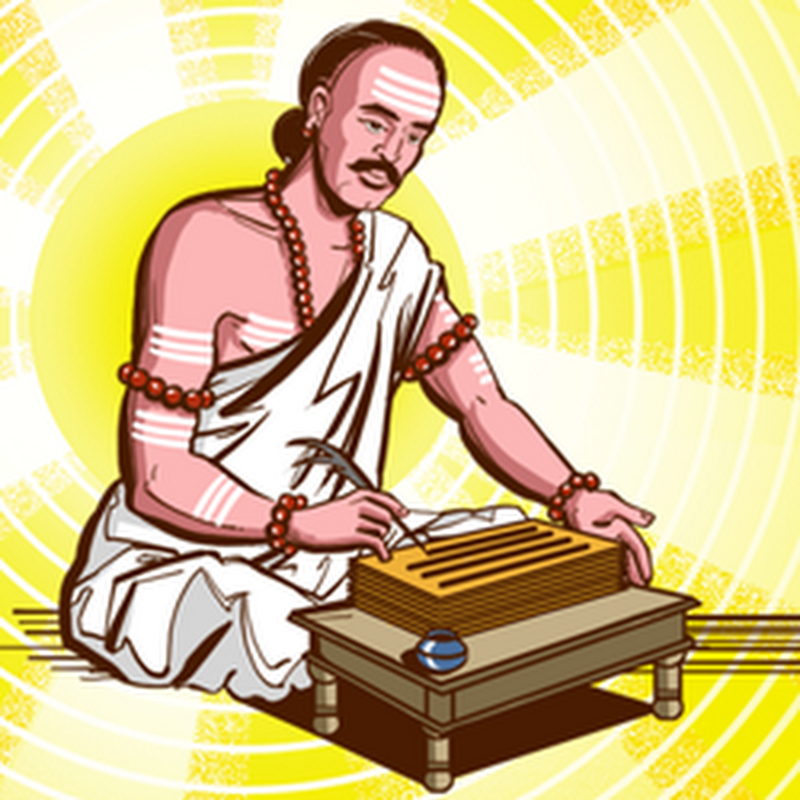 Bammera Potana translated the Bhagavatam into Telugu, and also wrote the Bhogini Dandaka and Virabhadra Vijaya. 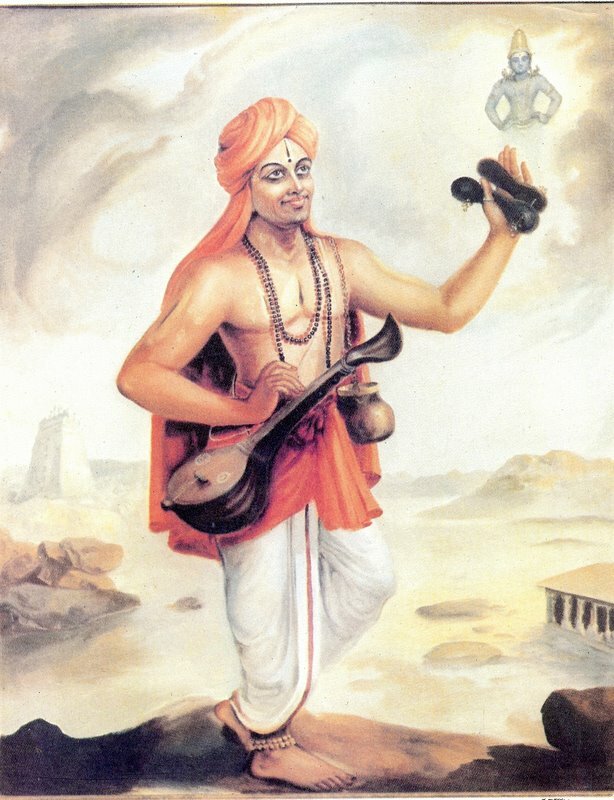 Annamacharya, patronized by Saluva Narasimhacharya, wrote numerous kirtans in praise of Lord Venkateswara at Tirupathi, that are popular to date. Other famous Telugu writers in the early Vijayanagara era were Annamacharya’s wife Tallapaka Timmakka, who wrote Subhadra Parinayamu. Mallaya, who wrote Varahapuranamu, Vishwanatha Nayani wrote the Rayavachakamu, while another great writer Nachana Soma was patronized by Bukka Raya I. Virabhadra Kavi translated Shringara Shakuntala, while Jakkana wrote an eulogy on the great Ujjain ruler, Vikramarka, called Vikramarka Charitra. Sanskrit was given ample patronage by Vijayanagara rulers, the early Sangama rulers patronized the Sringeri saints, while the later Saluva, Tuluva rulers patronized the Madhava saints of Udupi. The Advaita saints of Sringeri order were patronized by Sangama rulers, Sayana’s Vedartha Prakasha, was one of the seminal works of this period, who also authored Sudhanidhis, which looked at concepts of Prayaschita( Penitence), Yagnatantra( Rituals) and Purushartha( meaning of human endevaor). 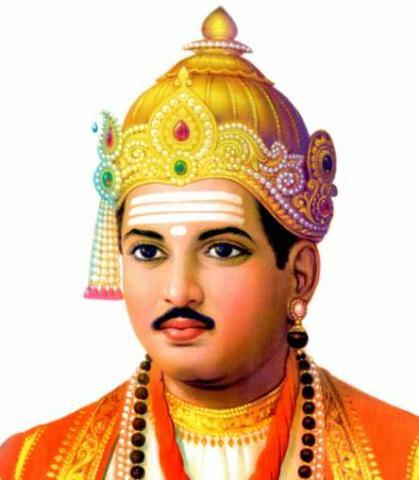 Vidyaranya, the spiritual mentor of Harihara and Bukka Raya, the founders of Vijayanagara, himself authored, Parasara Madhaviya, Jivanmuktiviveka, while Bharathirtha wrote Sangitasara. Ishvara Dikshita, who was patronized by Sri Krishnadeva Raya, wrote two commentaries on the Ramayana. Another great Sanskrit write patronized by Sri Krishna Deva Raya was Vallabhacharya, who wrote the Madhura Satakam in honor of Lord Krishna. The Madhawa haridasas of Udupi, apart from being great scholars on Dvaita Vedanta, also served as Rajguru to many Vijayanagara rulers. 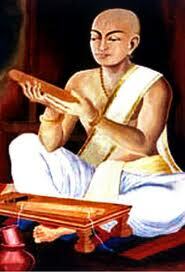 One of the most famous among them was Vyasathirtha, follower of Tattvavada, wrote the Tarkatandava,and Nyayamrita. He was patronized by Saluva Narasimha at Chandragiri, later became Rajaguru to Sri Krishna Deva Raya. Two of his most famous disciples were Purandara Dasa and Kanaka Dasa, regarded as the foremost exponents of Haridasa tradition. 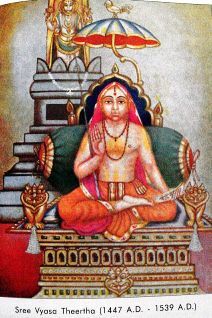 Vadirajathirtha, the Rajaguru of Saluva Narasimha wrote the Yuktimalika, a critique on the works of Shankaracharya, while Jayathirtha, wrote Nyayasudha, Vadavali. 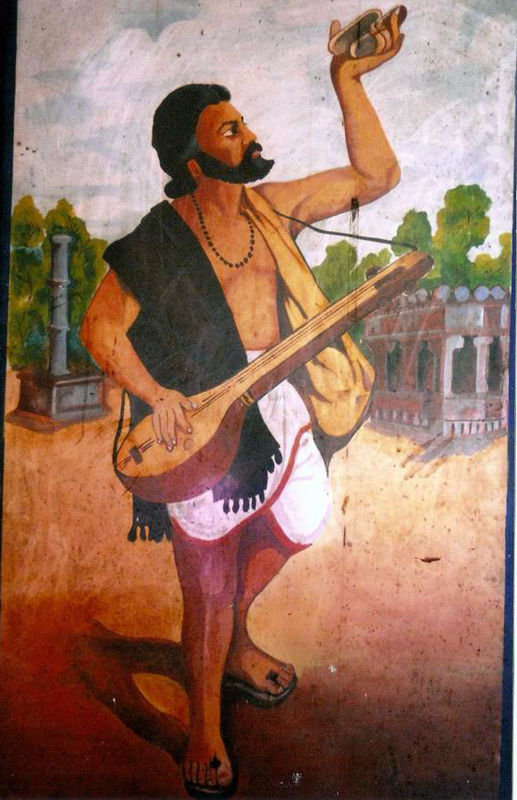 Krishnadeva Raya patronized Tamil poet Harihara, who wrote Irusamaya Vilakkam, an exposition on Saivism and Vaishnavism. Other famous Tamil writers of the period were Arunagirinathar who wrote the Tirupuzagha, containing songs in praise of Lord Muruga, Svarupananda Deshika who wrote an anthology on Advaita called Sivaprakasap Perundiratu. This entry was posted in Indian History, Medieval India, Vijayanagara Empire and tagged Kannada Literature, Telugu Literature, Vijayanagara. Bookmark the permalink. 3 Responses to Glory of Vijayanagara- Literature. Nice. But how did you forget ‘Madura Vijayam’ or .Veera Kamparayacharita’ written in Sanskrit by Gangambika princes of Vijayanagar on the conquest of Madurai from the Sultanate.